It is one thing to act like women are catastrophizing when they claim that Rheumatoid Arthritis hurts so much. But it’s another thing when it is done to children. Unfortunately, I’m familiar with being disbelieved by doctors. But I’m still shocked that they do that to children. Over the last year, several parents have told me such stories. They tell me that they cannot convince their rheumatologists that the kids are actually in pain. Sometimes the parents are told that their kids are just lazy. Or depressed. Or trying to get attention. These are kids who have already been diagnosed and treated for Juvenile Arthritis / JRA / JIA. And the symptoms that they complain of are typical JRA symptoms. Yet, their complaints of pain and weakness are disbelieved. I’ve talked a little bit with Amy. There’s more to their story. There are pictures of precious swollen knees and nodules on tiny fingers. This family moved to another state to get better rheumatological care for their little girl. You may have read that there is a rheumatologist shortage; that is more than just a statistic when you can’t find a good doctor. Yesterday, I made this comment on Facebook: “I keep hearing the same thing from parents I hear from adults: ‘Our doctor said my dear child’s pain is in her head.’ These rheum docs need to hear from patients while they are being trained! Here’s to a fierce 2011. May such statements become so much rocket fuel for change.” You can read the thirty-some-odd comments here. It’s not acceptable to do this to children. Or women. Or men either. I have to believe that as we speak up together about what RA is really like, we can and will make a difference. One goal I have this year is for more rheumatologists to read the RA onset story pages. There are over sixty stories there now. It is a picture of reality that cannot be denied. Here’s a link to Amy’s blog about their Juvenile Arthritis journey. Maybe reading that would help doctors, too. ← How Can Autoimmune Arthritis Diagnosis Be Improved? I downplay my pain with my rheumatologist – yes, I know who am I hurting? Myself, I realize. I downplay it at work, I don’t let them see how it takes its toll on me..
We need to continue to fight to be treated with dignity and respect and care and concern, and to be accepted when we say we hurt!!!! I suspect that most of us do edit what we say about RA pain since it sounds to bad to be true. I think we do some of this minimizing to doctors since we want to be taken seriously and believed. Not realizing that we do this, I believe that doctors further minimize what we tell them before it’s recorded in our charts since they are trained to do this. 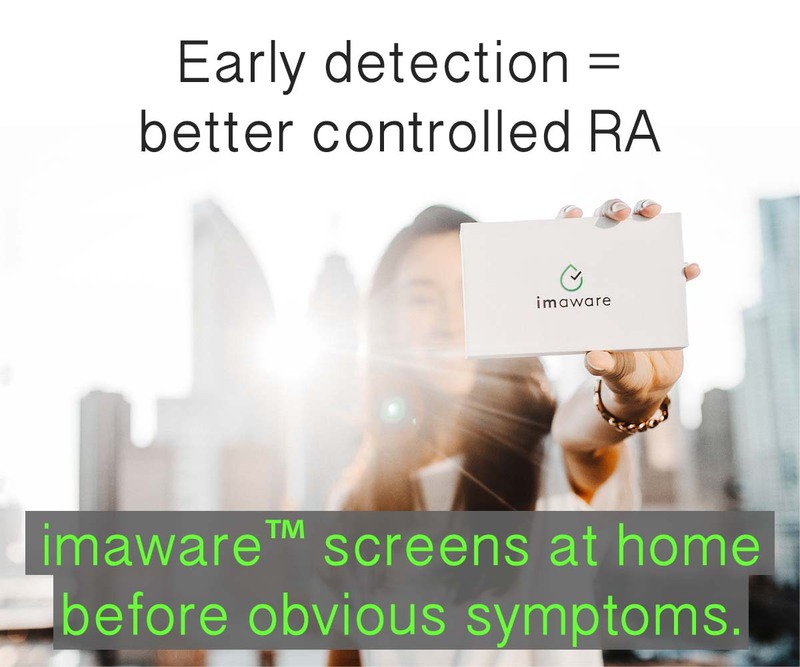 Many of them do not know how bad RA can be unless they had a close relative with it. As we all know, most of our family members do not even have a good idea how severe the pain is or how constant for some of us. Of all the things that my Rheumy is not good with (bedside manner XD )he never makes light of my pain or tells me that it’s in my head. I shall count my blessings in this case. Poor kid. Just because everything “looks good” doesn’t mean it is good. Rheumatologists ought to know better. They’re dealing with people, not just a disease. I can’t imagine children having to deal with anything like this. Talk about not being fair and being treated badly. Doctors need to take some serious courses while in med school on proper ways to treat patients. Taught by actual patients!!! But you know, it’s not just RA docs that don’t understand. I went through something similar with a urologist! I was diagnosed with Overactive Bladder about 2 years ago. Everything was going well and then for about 4-5 months straight, every day, I continued to feel like I had a bladder infection. I was in agonizing pain just sitting. Yes, sitting. It was ridiculous. I had to either lay down or stand to get relief. The urologist just claimed it was a bad case of OAB and because I’m a woman and my “monthly hormones” would make it all worse. He wouldn’t listen to anything. I started doing research on different bladder problems and urologists in surrounding areas. 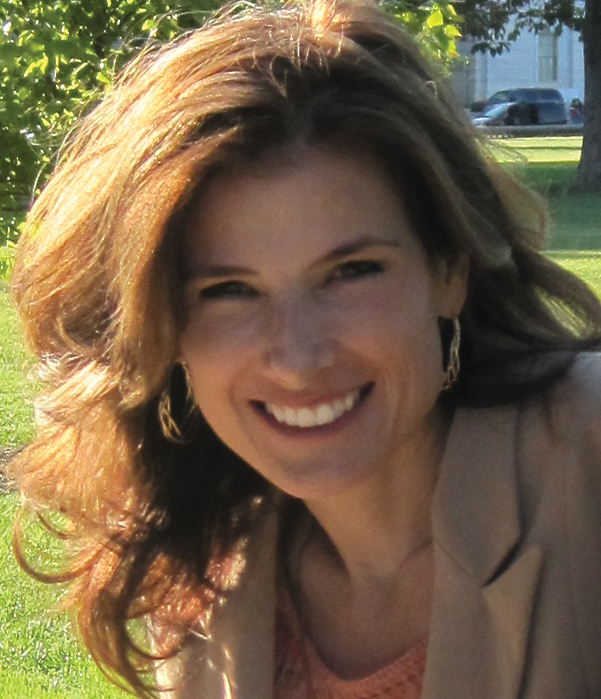 I finally found a female urologists and after listening to me and doing an exam, diagnosed me with another bladder problem – Interstitial Cystitis. She couldn’t believe the other doctor wouldn’t listen to me or consider any other issue! She put me on meds for it and said they may or may not help. There’s no cure for IC and with my OAB..they can cause each others flares to be worse. Well, as long as I avoid certain foods, the meds work. I’m lucky to have found a great urologist and RA doc. Wendy, Good ideas about med school. I have been reading some about what can be done in medical schools. There are some who are studying how to help doctors have more empathy to hear what patients are saying. I was thinking the same thing as you – they should here from real patients – not just read case studies. I wonder if rheumatologists are the right people to go to for palliative care. I’m currently reading a book on cancer and in this book they described, much to my horror, that in the history of this disease that oncologists had not given their patients palliative care for nausea, pain, etc. for various reasons. Some of these reasons being that they thought that they would subject their patients addiction or, more arrogantly, that it wasn’t their job to do so. I wonder is a similar thread had worked its way in to the thinking of other doctors or rheumatology in general. I’d be very interested to know how physicians think about this subject. Why do some docs think we don’t need pain medicine? Why don’t some docs believe us when we say we’re in pain? I’m sure there is a reason for it. What is it? 1) I’ve been reading some about problems inherent in the way medical students are trained. There are several studies on this. 2) There is a post on this site about how rheumatologists are trained to view patients. 3) But part of it is even more simple: think about the people in your own life. How many of them can understand what you go through? I’m sure Rheumies are listenming, Kelly. We just had a study with eye opening facts. (http://t.co/cmf194r) The study included 27,000 women & three of every four women in the survey was found to be taking pain-relieving medications. 63% were still experiencing pain on a daily basis despite the medicines. Of women with severe RA over 90% were taking pain medications and 95% experienced pain on a daily basis. This study revealed the extent of uncontrolled pain & has been a warning bell for the clinicians. What can be done to convey your pain to Your Rheumie? 1) Every time you see your Rheumie,inform him about your pain on a scale of 0 to 10. That is a good objective index for him. 2) Whenever the joints are swollen, click a snap. The next time you see him, let him have a look.That would give him a good idea of the joint inflammation over the period of time you saw him last. 3)Tell him about your analgesic requirement & intake. Thank you for contributing to the blog. What can a patient do if they are rebuffed by their doctor on this issue? I loved that study & I did write about that study last month here. I was excited to be at the poster for it at ACR. This was the 1st study of its kind (about how the pain affects lives) and patients responded to it with great ferver. I’m still hearing about it on my Facebook page. I do agree with you about photos. I’ve been telling patients that a long time. Sometimes it helps some doctors with the diagnosis problem. But as far as pain, what convinces you as a doctor that patients are in pain? Do you just believe them if they tell you that they are in pain? If they say a number 9 pain level, do you wonder if that is actually a 4? How do you know? One cannot deny pain. If somebody marks it 4/ 9, that is it pain he/ she perceives. As a Rheumie, I dont think I can question the presence or severity of pain. My work would be to find out the cause of pain; be it the inflammation & if I am not convinced it is the inflammation, then the other causes. Once the cause of pain is clear, treatment becomes easy. I’ve also mentioned the other causes of pain such as over exertion, stress, vitamin D/B12 deficiency/ hypothyroidism/ palindromic rheumatism etc on my blog. For any patient, I would be happy only when he/ she is doing well without the daily pain killer. This is unacceptable behavior from a professional whose only experience with RA has been out of a book/classroom. I understand that there are hypochondriacs, some people just want the attention, but come on … kids making this stuff up. My first rheumatologist hinted around to me that RA wasn’t that bad, so I fired him (after all, they do work for us…right) and found a good one. I have been with my second one for 7 years now. The more patients are able to do what you did, the fewer bad doctors there will be. Hopefully, someone read your comment and felt they could do what they needed to do too. Would also be great if some doctors could read the comments on blogs and be enlightened. Unfortunately the doctors who read blogs are probably already the good guys. I was dx at age 10 with JRA. The number one thing I try to explain to people is that you CANNOT underestimate the pain a child is in from this disease. I spent most of my childhood, teen, and college years thinking that was just how it was. I would say how much it hurt and dr’s would say there wasn’t anything they could do (there wasn’t much, really). That is why I didn’t get adequate pain management until I was THIRTY THREE years old. That is 23 yrs of pain, only sometimes controlled with arthritis meds. Kids are great at acclimating to just about anything, and covering it up just to seem “normal” at school. I think adults simply can’t do it because of all our demands, and eventually something fails and we HAVE to search out better treatment. I know 23 years is a long time. bless your heart. Most of the adults I hear from say that they are excellent at “covering it up to seem normal” too. I know that’s what I do all the time. All of the time. There is a percentage of patients who cannot get treatment to control RA either so “adequate pain management” as you say, is critical. I can’t believe that !! That’s so rude ! And they are suppose to be specialist of the disease ! Some people didn’t trust me when I told them I was in pain either, because you can show it. Now I have a tatoo on my shoulder, everyone know how a tatoo is painfull, I can show it and say: “You see that ? It took more than three hours to be made, and the day it was made, I didn’t take ANY painkiller. And some days, my joint are so painfull, I take 4 dose of my painkiller, the maximum I’m allowed to. Do you think still I’m not in pain?”. I really hope people will be more sensitive about pain. Especially on children. Most doctors, especially those doctors younger than 55 years of age, haven’t experienced an aging body, fatigue, or painful joints. The chances are, they don’t know pain personally. I have see doctors at the hospital where I work see patients flopping around in pain like a fish out of water, and they don’t care. It’s just a management problem for them. They write an order, walk away oblivious and unsympathic and let the nurses deal with your pain. Some have a caring bedside manner, but they really don’t care about your pain. Ben, what you are telling me reminds me of some talks I was listening to about how to help doctors do better with this. The researchers are studying how medical training and internship can actually cause the young doctors to become this way. I hope there is reform as soon as possible. underestimating the pain they are truly in? There is so much Rheumatologists need to hear from us …the patients they treat…they could learn if they just LISTENED! The pain issue is annoying to say the least. And if it is a child, they are so hesitant to give children any pain meds at all. My son had knee pain at 7 and wouldn’t walk. They did xrays, nothing showed up. and told me to do Advil/Tylenol. When he had the Swine Flu, his knees hurt for days. Yup. Tylenol and Advil. When I have RA pain I try to explain that its like a broken bone healing. (that’s the closest I can come to the pain feeling) Like a week after the break. I really fantasize sometimes when I am crabby enough, its like someone hitting your joint with a hammer, and the pain and swelling you feel afterwards. I know not very nice. But I get so irritated with it! When I was having the begining of a flare this last December, I finally sucked it up and called for more pain meds. My doctor denied it. Wanted me to see if the new Celebrex would work, or instead, increase my prednisone (10 mg to 5 mg.). I currenlty manage my pain with Celebrex (200 mg BID), tramadol and Tylenol 3 when it gets bad enough. My girlfriend laughs at me when I am hesitant to take my pain meds. She says, why are you not taking the meds your are ordered. Why are you suffering. BECAUSE, I’m afraid of addiction, and losing control. That’s the type A here. But I know I’m gonna have this disease for THE REST OF MY LIFE. And to make matters worse, I see trauma in the hospital where I work so I see really BAD pain, like gun shot wounds and auto accidents and open hearts. So when someone asks me what my pain is on a pain scale, I can’t really say, above a 5, I’ve SEEN bad. So, I really can’t do this pain scale thing. Children really need some form of pain meds that don’t harm the liver (like tylenol) or wig them out or hurt growing systems…research! Thanks for listening to my rant. BIG SIGH! It is unthinkable that a doctor would imply a child is lying when she says she has pain. Hard to imagine what could cause a person dedicated to helping others to become so cynical. But then, I was treated like an attention-seeking hypochondriac for a year before I was diagnosed with RA. Maybe not so unthinkable after all. I still meet doctors like that too. I’m trying to learn to dismiss them in a business-like manner as Terry says. That is the only solution for them who are already improperly trained. We might have more luck with training new doctors and getting the truth about RA into textbooks or classrooms. Hi all, this disgusts me about the children. My daughter is 19 now but 2 years ago I saw her crying in agony with joint pain for weeks, got her tested of course for everything, thankfully normal and since a couple of minor flares since that big one she’s been fine. But I do have to say that both our GP and my rheumy to whom she was referred for a check over, have both been amazing. She was given anti-inflams and co-codamol for her pain. She’s no longer on either. If I had a doctor that ignored my childs pain I would video them in pain and use that as a tool. No child wants to be in pain so why would they make up things like that. I liked Dr. Akerkar’s responce and advice and its really good to see him around listening to us all and learning from us, and us from him. Thank you Dr. I must say I’ve always been blessed with my team & I do have good pain relief, di-hydrocodeine, even though I am still in constant pain (Secondary OA in my hips). I agree that more learning from patients needs to be implemented in training. Thanks Kelly for another great article. Thanks. True, the only logical conclusion is that RA / JRA really does hurt that bad. Pictures and video are good ideas. But I also would not want a doctor who would not take our word for it. Having gone thru what I know now was my first RA flare at age 13 in 1967, I find it unbelievable in this day, 2011, that drs still dismiss the pain of a child. It wasn’t until my parents insisted on some help for me besides “oh, its growing pains” that I was at least put on asprin therapy until the inflammation went away. I remember the dr saying (after many blood tests, etc) they didn’t know what it was but chances were it would come back and to watch the “physical activity”….huh? I was hurting cause I rode horses and I was too active and had growing pains…huh? flash forward fall of 2009, the worst pain ever and went to ortho who sent me to rheumy and the rest is history so they say….now 2010/11…..pain is incredable in feet and hands and other joints but rheumy insists my labs are now normal (MTX/Simponi help) and doesn’t understand why I have pain…huh? Are we back in the 60’s?? After a pred burst that ended me in the hospital, and a talking to from my husband, rheumy finally decides to send me to: councelor (for depression from chronic pain..duh! ), PT, pain management and to a specialist. My big question is…WHY DIDN’T HE DO THIS IN THE FIRST PLACE WHEN I TOLD HIM ABOUT THE CONSTANT PAIN???? He is a great dr and I believe listens to me first, are they so conditioned to treat what they know and ignore what they dont (the pain beyond treatment)?…. Parents have to be a strong advocate for their child forsure and I pray for each and every one of those precious children that have to go thru the incredable pain of RA…an ugly beast it is! I hope that counseling helps. It did help me to deal w/ the shock and grief of the sudden disability. But pain relief is still needed so I hope the pain mgt is good too. And a better treatment that would help me get functionality back would be even better. Kelly, have you tried water therapy? I only have done it once but it was incredable the relief of foot pain under warm water! I have 2 scheduled next week…yippee! I should add that like so many other who have already commented I too was dismissed several times. I’ve had joint pain for most of my life. My parents took me to doctor after doctor when I was 13-14 and not one could tell us what was wrong with me. I just lived with the pain. I was told several times there was nothing wrong and the pain had to be psychological. It wasn’t until I was 34 that I finally saw a rheumy who helped. I’m now on many meds for a few different autoimmune diseases including RA and SLE. Because of my experience I pushed for better care for my child. I knew there was damage being done to her tiny body but nothing was being done. A 2 year old does not sit on her bed crying for Mommy to come get her every single morning and after every nap. A 2 year old doesn’t sit on the couch for hours after they wake up then slowly make her way around the house crawling like an infant or wake up every night screaming in pain. When we switched insurance carrier and we able to be seen at Children’s Hospital LA. Jordan care improved and within a few months she was feeling better. I can not say enough about her doctor at CHLA. One piece of advice I have for parents with kids who are newly diagnosed, look for a board certified PEDIATRIC rheumatologist. You may need to travel but it is so important to find a good ped rheumatologist. Our first doctor was a not board certified and Jordan suffered because of it. Thanks for this great advice for all who read later Stacey!! Stacey, I’ve also changed insurance to get a better dr before. We have to leave the ones behind who are not good even though it costs us by expense, and time, and emotional grief. If patients refuse to see doctors who don’t listen to patients, it would be one step to change the culture. You are such a great mom! I was told just over a month ago by the latest rheumotologist that there is nothing he can do for me. My blood tests markers are not bad enough to qualify for the expensive meds. This was two weeks before I had my lower back fused because in the words of the neurologist my l4-L5 was “rotten” and the rest wasn’t that crash hot either. I cried all the way home. This is a new year and I am rethinking how I approach what is attacking my body and systematically destroying my joints and tendons. I may not beat it but I will do everything I can to slow it down. Julie, it’s up to you of course whether you get a 2nd opinion. But I’d like to say that w/my “not so bad blood tests,” my RA was treated aggressively by a Good Doc right away once I got there. Docs have different philosophies and abilities. And some are also better with insurance, knowing how to use the system better to get treatment for patients. If the doctor is a member of the ACR, s/he might be more modern in her approach too. My theory is that if they can see a sign of pain they have a better chance of comprehending it. I have 25 years practice in visual communication, a degree in graphics and a masters in communication design to back me up on the power of visual communication over written or verbal. Now, after years of active RA I also have practical evidence in the form of two very deformed hands – people instantly comprehend the disease when they see my hands, because they look painful! Unfortunately, they often don’t realise that RA affects every joint in my body, so standing, walking, even sitting for too long are painful. A picture is worth 1000 words – my lumpy, bent hands may not be as functional as they used to be, but they’re telling their own story now. Pity it took crippling deformity for so many people to understand. I’VE HAD RA OVER 35 YEARS. I WILL BE 70 IN APRIL. LIVING WITH THE PAIN IN MY HANDS AND FEET IS A WAY OF LIFE, BUT THE DRS DONT UNDERSTAND THAT IT HURTS. WE GET USED TO THE PAIN BUT ITS STILL UNBEARABLE. MY HANDS FEEL LIKE THEY JUST GOT SMASHED WITH A HAMMER YET WHEN THE DR EXAMINED THEM AND SQEEZED EACH JOINT I DID NOT FLINCH SINCE I AM USED TO THE PAIN. THEN HE SAID. DOESNT THAT HURT? I SAID WELL YES, OF COURSE IT HURTS. HE SAID……..WELL THEN SAY SO. GOOD GRIEF. I ASSUMED HE WAS FEELING FOR THE INFLAMATION OR NODULES IN JOINTS NOT TRYING TO MAKE ME SAY YES THAT HURTS. NOW HE SAYS ITS NOT RA IT IS MY PARATHRYROID GLANDS THAT ARE CAUSING MY PROBLEMS. THE PARATHRYROID LEVEL IS 1850 TO 1900. WHICH THE ENDOCRINOLIST SAID WAS SO HIGH IT IS OFF THE CHARTS. I AM SCHEDULED THIS WEEK FOR A PARATHYROID SCAN. Hi Linda, I’m sorry it hurts so bad. Good luck with your tests this week. After years of experience, both my own with RA and others both friends and patients, I have learned that PAIN is very much an individual experience – one that some experience as severe and another may find mild. So much goes into the experience of pain. I personally find it difficult to express pain, but I realize that others may feel otherwise. The diagnosis of RA means pain is an important component and must be addressed! Judgment of the person with the pain should never enter into the discussion! Hypochondria is a one-sided judgment! I am just mortified by the fact that a rheumatologist would even SUGGEST that a persons pain is “all in their head”. To those doctors I would say, “First, you are a specialist with specific training in the area of Rheumatoid Arthritis. If you were actually AWAKE during those classes, you should be fully aware of the high pain levels that people with RA have, even though you cannot feel it yourself. Secondly, you are a doctor, a person who has hopefully decided to practice medicine because of a caring compassionate nature. So where IS that compassion when you scoff at a patients pain, or you insult them by claiming that they are not actually experiencing what they say they are feeling…….or are you one of those who simply pursued medicine to get rich?” If you are the second type, then shame on you, you should seek another occupation for you are definately not suited to be a Rheumatologist. I never knew doctors like that even existed in the Rheumatology world, for the doctor I have had from the very beginning has done all of the things that I have seen listed on the “should do” lists here. I guess I got lucky, but those of you who have not had that kind of luck most assuredly have my compassion and hope that you find that caring doctor soon. I live on Vancouver Island, British Columbia..Canada……the shortage of Rheumatologist is huge and quite frankly as I have said time and again….I have learned more about my disease RA from this wonderful lady Kelly and this website and all my fellow RA sufferers than I have learned from any doctor especially my Rheymy….my GP talks to me more about it than he does…..I wait for months to see him…I walk in he looks at my hands my feet my knees…I try to tell him about weird new pains and he doesnt even look or inquire…he just says “oh its because of the way you walk”…well Im still walking the way Ive walked for 47 years and how would he even know….I just met him and he seen me walk from the lobby to his office..I walk fine…doesnt want to here that I dont want metho anymore…that I cant function from the sickness and its me and my little girl…I have to function….just ads some new drug….to the many useless ones and sends me on my way…..Im tired of being a pharmecutical dumping ground and Im sorry but the “benefits” do not outweigh “the risks” in my opinion..sure if there was an actual cure…maybe…but there isnt one drug MIGHT help reduce my joints from damage…MIGHT…..and when see actual studies NOT FROM PHARMECUTICAL COMPANIES but from patients and unbiased science and doctors…..wow….big difference in percentages….hmmmmm???? ?…..every month there is a new RA drug on TV….you all know them…and when I hear and read what the potential side effects are…..Im sorry…..I dont want to be in a wheelchair….but ya know what…..I can take care of my child in wheelchair people do it all the time….I cant take care of my daughter if Iam diagnosed down the road with some cancer or kidney,liver you name it disease…..were big RA Lab rats that these companies pray on because we are so desperate to be heard to be helped not to be told the pain is all in our heads!! !…..SHAME ON THOSE DOCTORS….ESPECIALLY TO CHILDREN….THEY SHOULD NOT BE DOCTORS…….I realize many of you are helped by many of these drugs and Im soooooo happy that you are……I wish I had the time for some of these “Trials” but I have too many of my own “Life Trials” and I just hope and pray you all find the respect and help that we all deserve to fight this disease……I THINK WERE “FRICKIN” AMAZING!!!!! and Kelly I thank God for you every day and all the helpfull info from all the Warriors out there……Ive learned so much. I completly agree that doctors dont understand our pain, but it is not just doctors that dont listen or understand. It is spouses and also family members as well. Im not sure who to ask this of, and that’s why im posting this here…but obviously I have and have had RA for many many years….can either of my children somehow inherit RA from me. What would be the symptoms for say a 4 yrs old. The reason Im asking is that my son Jack just turned 4 Dec 1st, and started Junior Kindergarten, and he is having tons of issues at school, from crying and tantrums, pushing other kids…but the main issue is that he is constantly tired and moody and he is constantly waking up in the middle of the night. He has major bags under his eyes, and I am at a loss as what i can do for him. His teachers are suffering and kids dont like him because of pushing and not listening. Only time he acts like this is when he is tired, which is all the time. When he is at home is not like this. He’ll lay in his bed quietly on his own and rest, and or watch tv quietly, or play with his sister and they will play together. Please help. Hi Daniel, I really hope some doctors and nurses read the stories here and consider that you are right – there is no reason for kids to lie about the symptoms. I’ve heard this story too many times and it makes me cry, but I thank you for taking time to share it here. I was diagnosed with JRA somewhere between the ages of 4 and 6, but my onset was early (around 4). My mom also had severe RA and recognized my symptoms immediately. My knees were swollen all the time and I would limp and occasionally complain of pain (when you’re four, it’s difficult to articulate pain verbally). People (and some pediatricians!) told my mom it was “growing pains”, that my swelling was “baby fat”, and that my limping was sympathetic-I limped because my mom did. She had a joint replacement and my grandma (who also had RA) came to stay with us. She watched me playing by myself in the backyard and I limped even when no one was watching. That clenched it for my mom and we got a diagnosis. Remarkably, the rheumatologist treated me with orange chewable Bayer aspirin ONLY for years, and then only with prescription NSAIDS for a long time after that. When my knees would become too swollen for me to walk, I’d have them drained. It was, for lack of a better word, traumatic. I’m lucky that I escaped major joint damage. In high school I had a bad flare and finally got started on methotrexate, which didn’t reduce the pain enough but did reduce the physical signs (swelling) enough that the rheumatologist didn’t do anything. When I went to college I changed doctors and finally got put on a biologic. I’m back in my hometown only after confirming that we have another rheumatologist in town, who I like very much. Hang in there, kid. I know what you’re going through and you have more options. Keep fighting. One thing I’ve never understood about the “it’s all in your head” or “you’re depressed” thing is that a Rheumatolgist is not trained in psychiatry/mental health so is therefore not qualified make such a diagnosis or to even utter those words to a patient. In such cases patients should challenge said rheumatologist with questions pertaining to the rheumys training in mental health and demand to be referred to and examined by a licensed mental health professional if the rheumatologist insists upon the pain all being in a persons head. Jamielynn, I get tearful letters from patients on a regular basis about this, including today. It is ridiculous. By the way, I know a number of psychotherapists or physicians with RA and they agree with me that it’s very unfair how RA patients are treated. Your suggestion was followed by one child and one adult that I know of; in both cases, the mental health professional said that the pain was clearly physical in origin, but the rheumatologist did not back down. I’ve wanted to ask my Rheumatologist if he knows how much this disease hurts? I’ve read that 70 percent of RA patients experience pain every day even though the test results say the RA meds are working. I’m tired of being told depression makes me feel pain worse. I refuse to accept this answer as the pain is causing the depression. I was so glad to see a study come out that said “Inflamation affects certain brain chemicals and will cause depression.” So take that doctor! We could have saved the researchers thousands of dollars if our doctors just listened to us. I am not by nature a depressed person. I have accepted my diagnoses and everyday I adjust to a new “normal.” I don’t talk about my pain because who is listening anyway except for those who have RA. 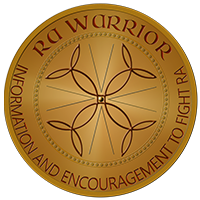 I come to this site on a regular basis as i feel that RA warrior is my new family. A place to laugh, vent, cry, and not feel so alone. So thanks everyone who shares their ups and downs because this is the one positive thing I can do for my disease is find support here.